you put down daria and fontana will show up! i’ve just made some searches about the supposed daria in the forum tufi duek show, but the only reference to her is: “Periguete não, que é muito pobrinho: perua sensual é mais adeqüado. Nadinha de Patti, portanto. E Daria, a top-top, na campanha? Cara de “vai vender feito água de coco no calor de 40 graus” (abril.com), which i can’t full understand! any translation is welcome! i don’t know, maybe i’m just blind, correct me if i’m wrong, but i’d say there was no sign of our girl at the show!! hahaha! now i can go to bed peacefully! 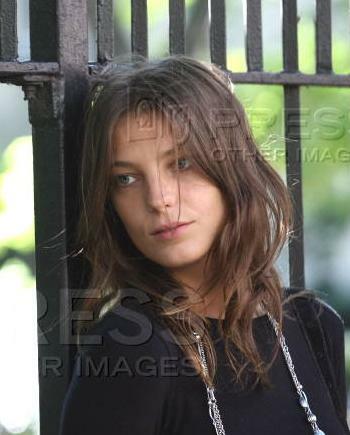 i find this 2007 pic posted by vogueelle addicted at tfs simply wonderful. it’s apparently taken from some lancome shooting in nyc, but she isn’t wearing the usual overmake-up, so it’s difficult to understand what that thing was. certainly you see more the woman here than the model and certainly those eyes have something melancholic and intelligent that after all these years still make me kind of melt… miau! ok, back to present time. dubai editorial. look at 2 posts below. berlinrocks at tfs says “1st image = cover; 3rd image = single page (but it’s not really this one … but from the same serie ie she’s wearing the same outfits); 5th image = double page portrait; 6th image = opening single page of the editorial/article”. and today at 7pm daria should walk for forum tufi duek according to the previously quoted brazilian sources. let’s see. according to papo fashion daria will be walking for forum tufi duek on the 19th of january at 7 pm (brazilian time).